Virtual reality, VR is very much real now. Look around and you’ll find it working or slowly spreading itself to every avenue or fields. Be it architecture, real estate, media, marketing, education, personnel training you’ll find news on how VR and AR are redefining the contours of every vertical. Space science has been using simulation techniques to prepare and train itself for life in space. 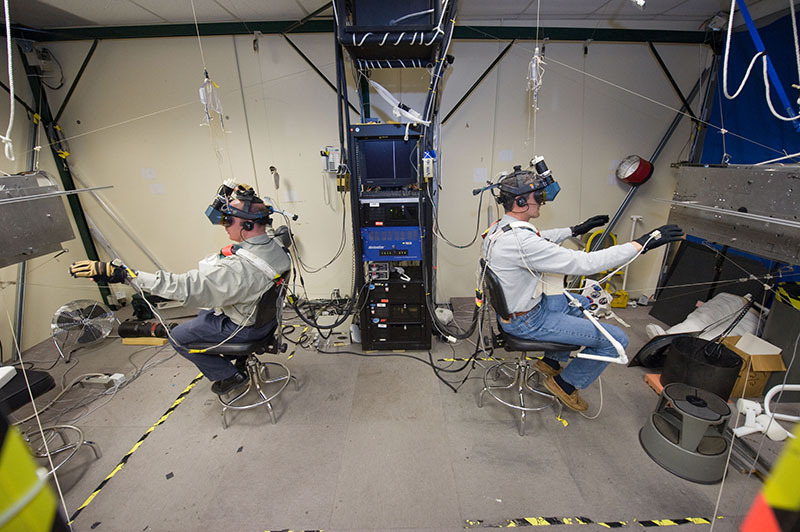 National Aeronautics and Space Administration (NASA) is extensively employing virtual reality to better acclimatize its astronauts to conditions they will experience once they step across the Earth’s boundaries. It has a dedicated VR lab for the purpose. Let’s see how NASA is using the technology. The primary job of NASA’s expansive Virtual Reality laboratory is to train astronauts in the aspect of spacewalking, walking in zero gravity and performing tasks on spacecraft, ISS. Earlier, limited experience was the constraint in spacewalking training. Therefore, NASA researchers began exploring ways to solve the problem and the fruits of long and extensive research is NASA’s VR lab. Now, almost all astronauts who are deployed on the ISS know what to expect when they step outside their habitable satellite. The VR lab offers rich virtual reality experience to its astronauts, boasting a conventional, graphical 3D of the ISS. The astronauts are given the ‘real-life’ like experience of being outside ISS in space using a combination of a headset, haptic feedback gloves and motion trackers. The lab is completely modeled on ISS and the moment astronauts wear the gear, they can simulate spacewalk, grab objects and explore the ISS in detail. Charlotte robot circumvents a significant disadvantage of the previous VR setup – the ability to feel objects. It is a web-like structure, controlled by a central computer that uses advanced physics to dictate how an object would feel in the microgravity of the space; their mass, moments of inertia, everything. At the center of the Charlotte robot is the object that is being simulated. Giving an experience of spacewalk and drifting away into space. It trains astronauts to use In this scenario, an astronaut to use the nitrogen-propelled SAFER system to get back to the space station. In its immersive training, NASA has a collaboration with Microsoft in an augmented reality endeavor codenamed as Project Sidekick. Sidekick will utilize HoloLens in order to facilitate communication between astronauts and their ground staff. (Microsoft’s HoloLens is the world’s first unconnected holographic computer which enables its wearer to witness and interact with holograms in HD while also listening to them in surround sound.) So, astronauts can use this holographic technology for overlaying instructions, doing face-to-face communication, interacting remotely with coworkers, as well as maintaining an inventory. However, this project is in its infancy. Another project of NASA involving the HoloLens, is OnSight. It pertains to using the headset’s AR properties to connect scientists and engineers with the environment of Mars using a feed from the Curiosity rover. VR and AR are strengthening NASA’s research and collaborative efforts to reach new heights in space exploration. And also at the same time, training the astronauts to deal with the unpleasant space environment. The future is surely going to be as bright as the sun itself.